An avulsion fracture is an injury to the bone in a location where a tendon or ligament attaches to the bone. When an avulsion fracture occurs, the tendon or ligament pulls off a piece of the bone. Avulsion fractures can occur anywhere in the body, but they are more common in a few specific locations. Avulsion fractures are more common in children than adults. In adults, the ligaments and tendons tend to be injured first, whereas in children the bone may fail before the ligament or tendon is injured. Children have a particularly weak point in their skeleton, called the growth plate. This is the area of bone that is actively growing. In children, tendons or ligaments near a growth plate can pull hard enough to cause the growth plate to fracture. Often an avulsion fracture occurs when there is a sudden forceful pull on a tendon while the bone is moving in the opposite direction. An example is an injury to the fifth metatarsal, the bone on the outside of the midfoot. The peroneal tendon attaches to the base of this bone. Often when the foot is twisted, a forceful contraction of the peroneal tendon pulls the foot in one direction, while the twisting force is acting on the foot in the opposite direction. This causes the bone to crack where the tendon attaches to the bone. The good news is that these fractures almost always heal with simple rest and time. An avulsion injury noted on an X-ray film can also be confusing, because often these may be related to an old injury. Sometimes a small piece of bone pulled away from the body a long time ago, and only when an X-ray is obtained months or years later is the fragment of bone seen. It's important not to chase down a treatment for something that doesn't require an intervention. That's why it's critical to have a physician who can both interpret your X-rays and put those results into the context of your injury history and examination findings. Most often, an avulsion fracture can be treated without surgery. Only when the pulled off fragment of bone is pulled more than several centimeters from its normal position does surgery need to be considered. In addition, some avulsion fractures affect such small pieces of bone there's no need to repair them. For example, ankle sprains often cause small avulsion fragments. These injuries typically can be treated like an ankle sprain, as the small piece of bone really does not affect the treatment decisions or outcome of the patient. There are some concerns about treatment when the avulsion fracture involves the growth plate in a child. Because growth plates are important for normal skeletal development, these injuries must be carefully treated. If there is concern that a growth plate is not correctly positioned, surgery may be performed to align and stabilize the growth plate. 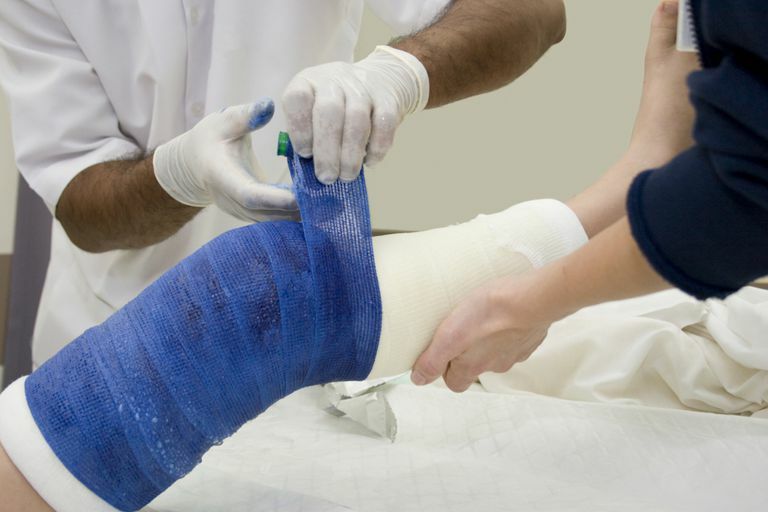 Surgery may not be needed if the avulsion fracture is well aligned, or if the patient is near enough to growth plate closure that this injury will not cause lasting growth problems. Schiller J, DeFroda S, Blood T. "Lower Extremity Avulsion Fractures in the Pediatric and Adolescent Athlete" J Am Acad Orthop Surg. 2017 Apr;25(4):251-259.